AS a key partner in the tight group of former journalists, cops, novelists and old stagers who created The Wire, George Pelecanos has jumped out of the narrow genre of hard boiled urban crime writers into the rarified atmosphere of highly successful TV executives. 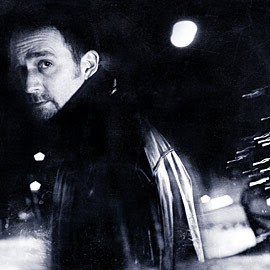 Thanks to the success of The Wire, of which Pelecanos was the writer and producer, he is now being heralded as one of the kings of American neo noir literature. But long before The Wire, his previous novels, all set in his native Washington DC, put him in the top bracket of the great social commentators of his generation. Only Richard Price, Dennis Lehane and James Lee Burke can be seen as his equals - the former two also wrote on the Wire. One of his latest two books, The Turnaround, is a breathtaking example of wonderful democratic fiction, not literary fiction, but fiction which tells a great story but which unveils some of the truths behind race in modern America. It has, like most Pelecanos stories, great central figures. In this case Alex Pappas - a Greek American man scarred in a race-related fight he had the misfortune to be involved in, in 1972 and Raymond Monroe, a black man who was involved in scarring Alex. It revels in the mundanity of ordinary lives and the simple pleasures people take to get through life. There is a tremendous humanity and sense of community in the Turnaround, another characteristic of Pelecanos' work. Starting in 1972 in the run-up to the incident and then jumping to the present day it showcases Pelecanos' great gift for vivid nostalgia and writing evocatively about the past. It also embraces modern America's race politics and its treatment of its armed forces' Middle East veterans. More pertinently, The Turnround sees Pelecanos do what he does best - writing the modern urban Western where stoic men face up to their responsibilities, being forced into taking action to protect their families and making up for the sins of the past. It's a brlliant novel from a writer who has only rarely put a foot wrong. Hear him speak about his latest novel, The Way Home, currently one of President Obama's holiday reads, below.